For the first time since 2012, processed and treated transuranic waste is leaving Oak Ridge’s Transuranic Waste Processing Center for permanent disposal at the Waste Isolation Pilot Plant (WIPP) near Carlsbad, New Mexico. This form of waste consists of materials and debris that are contaminated with elements that have a higher atomic mass and listed after uranium on the periodic table. The majority of Oak Ridge’s inventory originated from previous research and isotope production missions at the Oak Ridge National Laboratory. Originally, much of the site’s transuranic waste was scheduled for shipment in 2014. However, weeks before shipments started, two events occurred at WIPP in February 2014— a truck fire and an unrelated radiological event— that suspended waste disposal operations. These operations resumed in January 2017, and WIPP has begun receiving shipments from select sites across the Department of Energy complex. 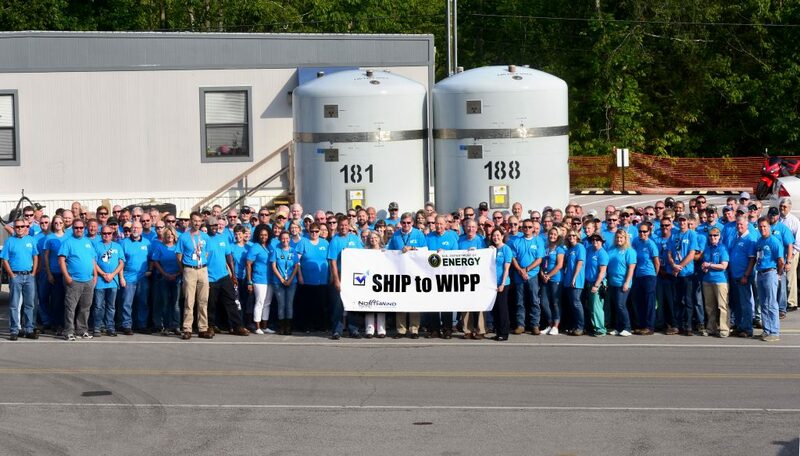 With operations at WIPP ramping up, Oak Ridge anticipates making multiple shipments each month. Eligibility for shipping is based on sites verifying that the waste meets requirements for safe transportation and disposal. The exact allocation and sequence for shipping will be adjusted based on the emplacement rate at WIPP, operational needs at the WIPP and sites, and logistical issues, such as weather, that affect shipping. Video of Oak Ridge’s first shipment is available on the DOE-ORO Facebook page.